Electronic music and dance culture has much more to offer than four-on-the-floor rhythm and fast, repetitive beats. Though in Colorado, sometimes it can be hard to tell. 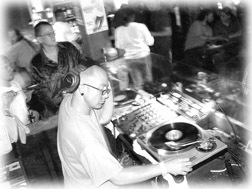 Or at least it was harder three years ago, before New York transplant and reggae DJ Liondub gathered a group of like-minded music lovers to help form Unity Gain, a monthly, Sunday night party that caters to fans of deep, mellow grooves and positive vibrations. Striving to embrace as many styles of music as possible, Unity Gain features a strong dose of reggae and its psychedelic cousin, dub, as well as more divergent styles of downtempo, trip-hop, ambient and electronic listening music. In addition, the party’s organizers pride themselves on creating a welcoming, aesthetic, art-friendly space where music, conversation, dancing, food and experimental film can be enjoyed simultaneously in a transformed bar environment. For the past year and a half that bar has been Trilogy, which will once again host Unity Gain this Sunday. Liondub first came to Boulder from New York to work on his masters degree in printmaking and fine art at the University of Colorado. "At the time," he says, "nobody would let me play in their clubs; everything was pretty much run by house, or techno and trance. I would be playing at these house parties and all my friends loved it; they wanted me to do something different in the clubs." Taking the cue, the soft-spoken and respectful Liondub held a potluck dinner and asked guests to help him brainstorm ideas for a completely different kind of event in Boulder. Liondub came up with the name Unity Gain, which is a technical term in recording for a perfect kind of gain structure. "When putting a signal into a board," Liondub says, "it literally means what goes in is what comes out. Everything is balanced, so you’re not pushing it, you’re not contracting it. I was sitting there, looking at these twenty people and I realized that there was a lot of unity in this group, a lot of people coming together to create some positive change, some gain." In addition to Liondub–who keeps busy traveling between New York and Boulder–the regular Unity Gain family includes four more key players. There are two regular DJs: Ivy (Josh Ivy), who spins a wide array of downtempo, and the eclectic Psychonaut (Benjamin Bussard), whose free-style approach to music often traverses the realm of fear into elation and dance with a combination of dissonant noise, children’s records and break beats. Completing the line-up is alalaone (Alala Wakelin), a film purist who provides visual complements to the music with her handcrafted, experimental projections, and Angelina Saavedra, the designer responsible for "interior vibes." Ivy, who is known to spin as many as five different weekly gigs, maintains that Unity Gain is definitely his favorite project. "Unity Gain is the heart and soul of what I do," he says. "The vibe is totally undeniable. It’s crazy. At most dance parties you’ve got to really pump up the music and work the crowd. At Unity Gain, you can play the slowest beat imaginable and the whole place will go off. The people there are very receptive. You can go as deep as you want and people will respond. I’ve played all over the country, and I’ve never experienced that." Adds psychonaut: "A lot of people who don’t go out to other DJ events or club nights–people who aren’t interested in that scene at all–come out to our night because it’s not really DJ oriented. It’s music oriented, it’s community oriented. A DJ is playing but the music is the focus. It’s slow; it’s deep; it’s from the heart." Unity Gain begins at 9 p.m., Sunday, Aug. 3, at Trilogy Lounge, 2017 13th St., Boulder, 303-473-WINE. Folks interested in helping Unity Gain grow or becoming involved can leave their messages on the Unity Gain Voice Mail at 303-380-2772.